In-fact measure of measure of civilization largely dependent upon the proficiency and skill they developed in civil engineering. Civilizations are remembered for the monumental structures they built such as Pyramid, Temple, Stupas, Pagoda, which required good knowledge of civil engineering. Tajmahal is a shining example of this.A good civil engineer should have a theoretical base with a good practical knowledge so that he can use this information for the benefit of project he is working for.Civil Engineering virtually touches all facets of our life. Over the years, many specializations have developed are catering to the special needs of the projects such as geotechnical engineering, public health engineering., hydraulics, structure, highway engineering, bridge engineering, earthquake engineering, construction planning & management, environmental engineering, Irrigation engineering. Just to cite a few. As complexities involved in the projects are so are narrower fields of specialization are developing. Lot of software’s are being used for analysis and design and drafting of civil engineering structures. The country is undergoing through massive expansion of infra-structure in the country, creating thousands of job opportunity for civil engineers. 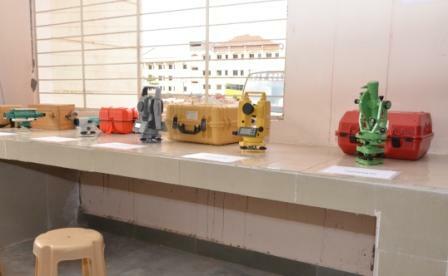 Realizing the growing need for civil engineers, civil engineering department was established in year 2012. The department is having well qualified and experienced faculty for teaching diverse subjects of civil engineering. Department will award BE (Civil) to the aspiring students. The yearly intake is 120. 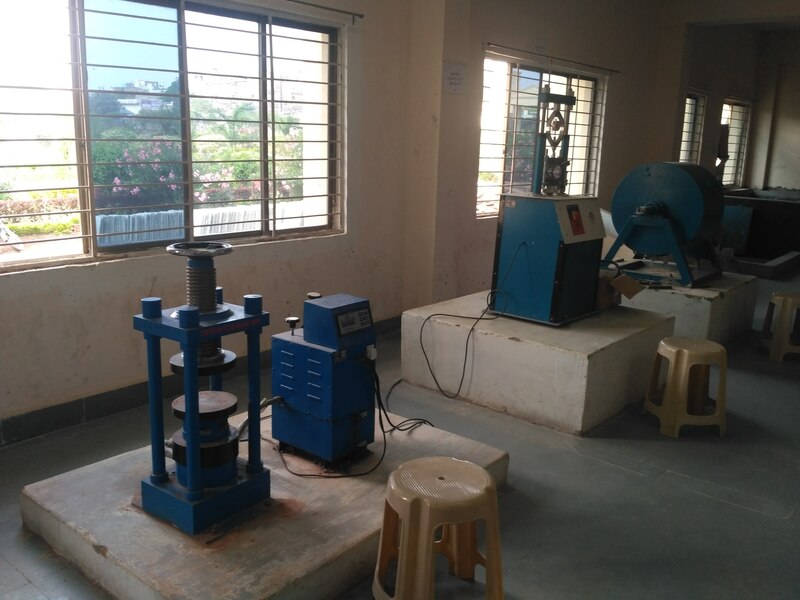 We have well- equipped labs such as Basic Civil Engineering & Engineering Mechanics Lab, Construction material testing lab, Surveying Lab, Fluid Mechanics Lab, Strength of material lab, Engineering Geology Lab just to cite a few. To impart quality education in civil engineering and to develop the department into a center of excellence through innovations, academic excellence and industry exposure. 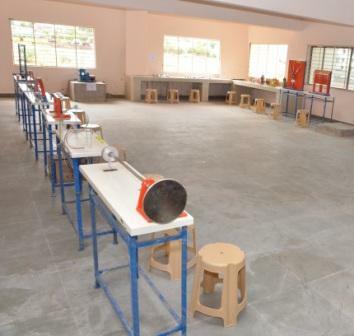 Through quality teaching and keeping pace with rapidly changing technologies. PEO1: Graduates will use and apply necessary mathematical tools, scientific basic, and fundamental concepts of Civil Engineering. PEO2: Graduates will demonstrate ability to analyse, design and develop civil engineering projects. PEO3: Graduates are prepared to be employed, exhibit professionalism, engaged in lifelong learning and demonstrate entrepreneurship skills. PSO1. Applying knowledge of applied sciences and engineering for analysing and solving civil engineering problems. PSO2. Application of civil engineering concepts concerning environment, ecology, energy conservation and management. PSO3. Software based planning and execution of civil engineering projects applying relevant codes of practice for materials and techniques. “The aims of education is complete fulfillment of man with the richness of his personality including the aesthetic and spiritual aspect to become a contributing member of the society. Education’s essential role, giving people the freedom of thought, judgement, feeling and imagination, they need in order to develop their talents and remain in control of their own life”. I would like to place on record the services and contribution given by the dedicated faculty and staff members of the Civil Engineering Department in performing the students as the person of competence, conscience, compassion and commitment. 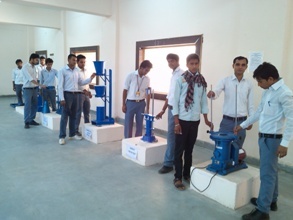 I also appreciate the excellent performance of students of Civil Engineering in every field. The good atmosphere which is maintained by the students in the college and department campus helps them to excel in academics and also in human values that they form them to be person for others. The annual Technical festival of our department, MEGASTRUCTURE, has proved to be a great platform for upcoming civil engineers. In this regard the word of great scientist Albert Einstein is memorable when he said “I don’t teach my children, I create conditions for them to learn”. • The department organizes a Technical Event every year of various technical activities . • The department invites Guest Lectures and Expert Lectures from outside experts. 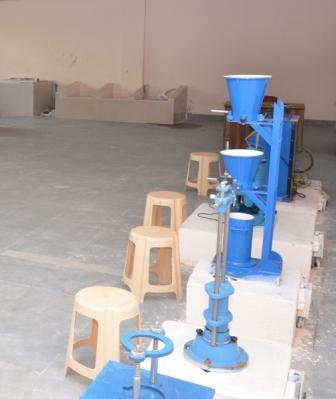 • The department will organize technical workshops and Field Training for its Students. • The department plans to organize additional lectures for weak students. • The department organize social activities as a part of social service to the nation.